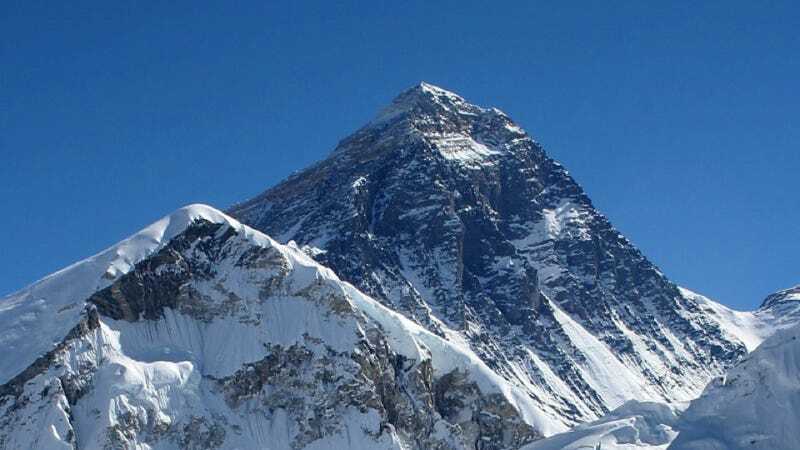 Alan Arnette has an excellent post on Outside detailing the costs of reaching Earth's highest summit, Mount Everest. I've never thought about it before but it totally makes sense that there are a lot of things that go on to make that climb, right? And all those things cost a lot of money! Like $83,000 a lot of money. Arnette details the three ways you can climb Mount Everest: putting together your own expedition, joining a logistics only expedition or joining a fully guided expedition. Fully loaded fully guided expeditions sound fancy — sushi, five star chefs, open bar, espresso machines — but of course, all that pizazz comes with a price, as those climbs can reach more than $100,000 plus tip and bonuses. Logistics only expeditions are considerably cheaper and less fancy but come with very little included. You want oxygen? Pay more. You want to know what the weather will be? Pay more. You get the idea.